Carp Sushi is a small Japanese takeout-based restaurant that just opened up about a month ago, and I was all ready to try their expensive nigiri. However, things were not meant to be as they were closed for the day when I came by their door, so I hopped back on the 99 B-line and travelled one more stop to the west. All I saw at the Broadway-City Hall Station was a frantic whir of people, buses, trucks. If you ever want to experience what it feels like to live in an overcrowded country, this is it. Unable to spot any sushi restaurants with just my eyes, I stole some Wi-Fi from a nearby cafe to access Zomato, which pointed me to Ro Sushi. Virtually everything on the menu looked super affordable judging from the listed prices. The most prominently displayed item was the All Day Special Box, which came with chicken or beef teriyaki, rice, salad, tempura, a California roll, and Miso Soup, all for just $7.95! However, in order to inflict maximum damage on my wallet, I did not order it. 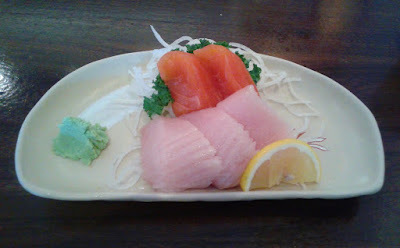 Right at the beginning of my meal, the Salmon and Toro Sashimi was a tragedy. The Salmon was very chewy and served too cold. It was fresh, but the texture did not make it the least bit enjoyable. The Toro Sashimi came in thin, moderately sized slices and was underthawed. It had a nice, creamy flavour, but the sensation of a block of ice in the center of each piece did not exactly match my criteria for good toro sashimi. There were a bunch of special rolls on the menu listed under the heading "Funky Creations," and some of these rolls included The Beautiful and Erotica Roll. However, I went with one that matched my mood a little better - the Drunken Monkey. 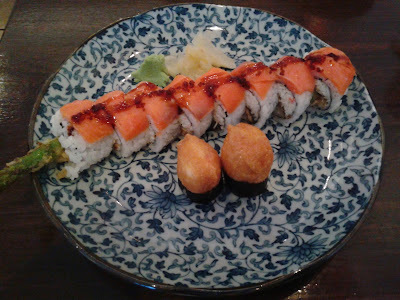 The Drunken Monkey came with eel, crab, asparagus, smoked salmon, and tobiko. The unagi and eel provided a good amount of sweetness and worked together nicely. The asparagus was juicy but was a bit crunchy inside. There was only a thin layer of rice on the outside, which turned out to be a good thing as the rice was slightly mushy. 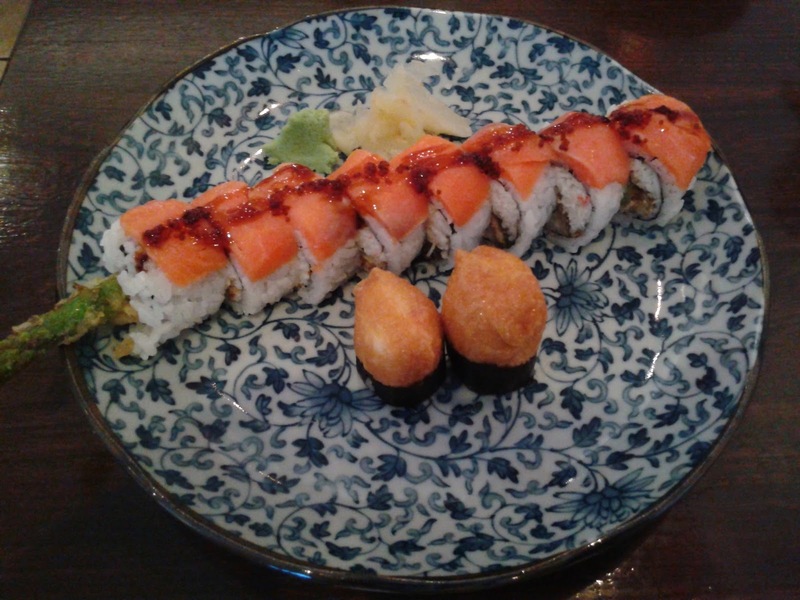 The West Coast Pocket consisted of inari, crab meat, avocado and salmon. It exhibited a soft texture and burst of sweetness coming from the inari. The flavour of the salmon could have been brought out more, and things got slightly mushy inside. 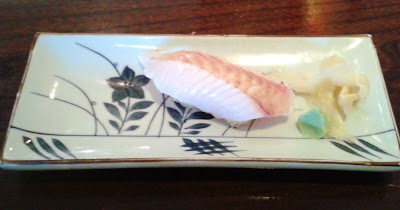 The Seared Tai Nigiri had a slight smoky flavour, but the tai was very chewy and tasted slightly fishy. On the upside, the fish-to-rice ratio was more or less correct. The Appetizer Tempura came in huge proportions and consisted of two prawns as well as one piece each of kabocha, sweet potato, and zucchini. 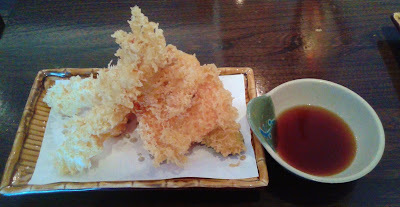 Unfortunately, the method they used to make the tempura bigger was to put about 500% the necessary amount of batter. As an added bonus, the batter was also hard. I literally spent more time peeling the batter off than actually eating the tempura. The saving grace was that each of the pieces actually tasted quite good without any batter at all. The prawns were juicy, and each of the vegetables had just the right amount of moisture. 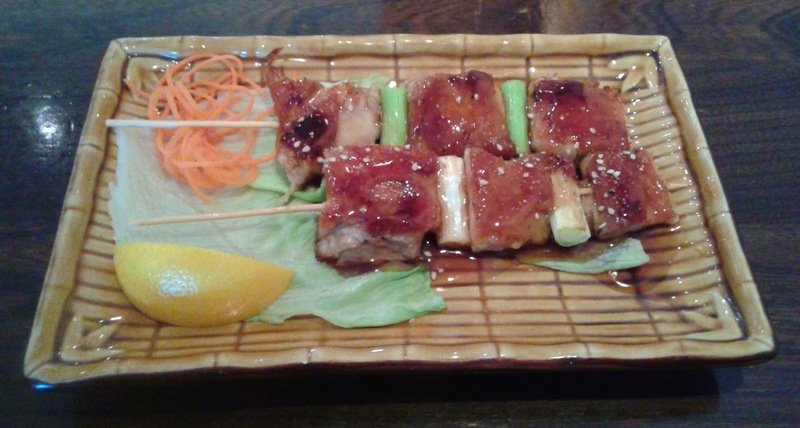 The Yakitori came with tender, juicy chicken with a thin, appealing layer of crispy skin on top. I was about to write my first above-average letter grade for this restaurant when all of a sudden, I took a bite into the second skewer and found that it was significantly overdone. As a result, some of the pieces of chicken became very tough to chew. The service was remarkably friendly for a Chinese-operated restaurant. It could have been a bit more attentive though as my tea was never refilled. The most unfortunate part of my experience was the food itself. The food was quite cheap, but there were major mistakes with pretty much every item I ordered. 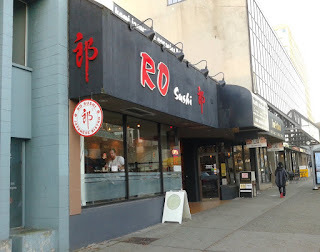 Ro Sushi has a significant number of positive reviews online, but my experience was hardly indicative of that. I'm not sure what happened, but I'm guessing the chef must have been having a very bad day. "However, in order to inflict maximum damage on my wallet, I did not order it." LOL...your wallet was probably crying at the end of all this! !